New UCLAS Webinars to launch on October 30, 2014. These webinars provide an opportunity for UC libraries employees to learn more about systemwide initiatives and projects in a forum where attendees can ask questions and engage with the presenters. Mark your calendar for the first webinar! What topics will the UCLAS Webinars cover? 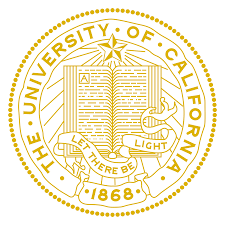 The first webinar on October 30th provides an overview of the University of California Libraries, Systemwide Plan & Priorities, FY 2014-2018 . Future webinar topics will be drawn from areas of work led by the various UCLAS groups, for example Shared Print, UC Libraries Digital Collection (UCLDC), Collaborative Digitization, or UC Open Access Policy. Who can attend? The webinars are open to all UC librarians and library staff. They will be recorded and posted online afterwards, if you are unable to attend the live session. How often will they be held? 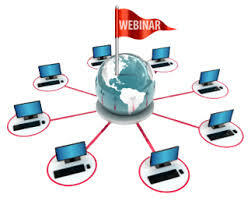 In this inaugural year, we will host 1-2 webinars quarterly. How will topics be chosen? The UCLAS Coordinating Committee will collaborate with the Chairs of the UCLAS groups and the LAUC Executive Board to identify webinar topics and speakers. Suggestions can also be submitted by anyone directly to the Coordinating Committee via email at ccc-l@listserv.ucop.edu . Categories: Coordinating Committee, Council of University Librarians, UCLAS News, UCLAS Webinars | Tags: Communications, Plan and Priorities, Systemwide, UCLAS, Webinar Series, Webinars | Permalink. The UC Libraries Systemwide Plan and Priorities details CoUL’s goal areas, corresponding priorities for fiscal year 2014-2015 and on-going priorities for 2014-2018. 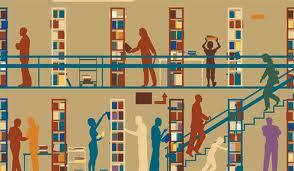 Each goal also designates the UC Libraries Advisory Structure group(s) that will be working on it. On October 30th, I, along with Ginny Steel, UCLA University Librarian, will host a webinar to provide an overview of the Systemwide Plan and Priorities that is open to all interested UC libraries employees. Additional details are forthcoming this week from the UC Libraries Advisory Structure’s Coordinating Committee with registration information. Categories: Council of University Librarians, Systemwide Plan & Priorities, UCLAS News | Tags: Goals, Plan and Priorities, Priorities, Systemwide | Permalink. The Council of University Librarians has hired an organization development consultant, Katherine Kott, to conduct an assessment of the UC Libraries Advisory Structure (UCLAS). In consultation with the Council of University Librarians (CoUL) and the advisory structure’s Coordinating Committee, the goal of the assessment is to help determine the effectiveness of the new advisory structure now that it has been in operation for more than a year. The assessment utilizes an anonymous, online survey instrument that has been customized for each of the following participant groups: UCLAS members, CoUL, Common Knowledge Group members, and LAUC Executive Board members in order to help determine the effectiveness of the UCLAS governance processes, communication, collaborative work tools and work groups, as well as the overall organizational structure. Once the consultant analyzes the data, she will consult with the Coordinating Committee in order to prepare a report which will be shared widely in early December. Categories: Coordinating Committee, Council of University Librarians, UCLAS News | Tags: Assessment, Organization Development | Permalink. The Shared Print RoadMap was developed by the Shared Print Strategy Team in consultation with SAG3 to advance the goals and strategies described in the UC Shared Print 2013-2018 Strategic Plan. The RoadMap is a high level planning document to guide future shared print activities and scope of work. It includes a short list of recommended activities to pursue (and not pursue) to advance UC’s goals around print collaboration. It also includes a general timeline for exploration, planning and development of proposed activities. Coordinated print serials archiving to the RLFs and a de-duplication service. Retrospective shared print monographs program. Coordinated digitization and print retention of State Documents. Disclose UC Shared Print collections in union catalogs (OCLC WorldCat, CRL PAPR). 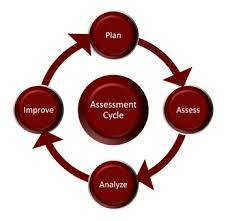 Assess existing shared print projects and policies and make adjustments. The UC Libraries Shared Print RoadMap is endorsed by the Council of University of Librarians and the UC Libraries Advisory Structure’s SAG3. Both extend their thanks to the Shared Print Strategy Team led by Emily Stambaugh, and the various groups who have reviewed and provided input on the RoadMap, for the thoughtful time and energy that went into identifying a plan for future shared print activities for the UC Libraries. Questions pertaining to the Shared Print RoadMap 2014-2018 can be directed to campus members on the Shared Print Strategy Team. To follow shared print activities, please look for announcements on CDL Info or the “latest news” section of the Shared Print website. Categories: Council of University Librarians, SAG3: Collection Building & Management, UCLAS Reports | Tags: Print Collections, Roadmap, Shared Print, Strategy Team | Permalink. Creating an archive in four phases that allows the UC Libraries to leverage the wealth of federal document materials already housed at the RLFs and to work methodically and efficiently with the collections owned by each of the UC Libraries. The formation of a new group that will coordinate the implementation of the archive. Ensuring that the UC Federal Documents Archive offers a complimentary digital copy of all items designated as part of the archive. Pursuing an agreement with the U.S. Government Printing Office and California State Library on a modified process for withdrawal of unneeded duplicates of depository titles from UC Libraries that suits the characteristics of a collaborative, large-scale, collection review project. CoUL and the UC Libraries Advisory Structure thank members of the UC Federal Documents Archive Project Team for their stellar work in this important area of UC collections. Questions pertaining to the report may be directed to the Project Lead, Elizabeth Dupuis (UCB), or members of the Project Team. Categories: Council of University Librarians, Project Teams, SAG3: Collection Building & Management, UCLAS Reports | Tags: Federal Documents, Federal Documents Archive | Permalink.